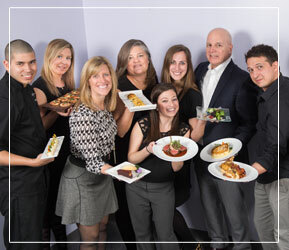 Purple Onion Catering Company’s simple goal is to provide exceptional food and service to the Washington DC Metro Area. Our passion-driven staff create and deliver visually-stunning custom events that are both personal and memorable. Each member of our team is key to this goal. Currently, we are seeking creative, diligent individuals who are passionate about food and excited to share in the learning and teaching opportunities that come through the varied experiences of a great team. That means, EGOs are left at the door and exchanged for GREAT ATTITUDES. Our line cooks are problem solvers, team supporters, and positive influencers in the kitchen. They have a passion and a curiosity for food. They are open to new ideas and are excited to share their own experiences with the team. They are punctual and organized. Prepares items for broiling, grilling, frying, sautéing or other cooking methods by proportioning, battering, breading, seasoning and/or marinating, following kitchen standards and Chef instruction. Understand and utilize our serving portion sizes and all basic menu prep procedures and standards. Purple Onion Catering Company offers role specific training, Health, Dental and Vision insurance programs, paid Holidays, and Paid Time Off to all full-time regular employees. We enjoy a company provided lunch most days and free parking. We are an Equal Opportunity Employer.